We provide high-quality services and customized facilities that cater to the needs of any group. We are able to host any size of gathering, anywhere, at any time of the year, in any weather. 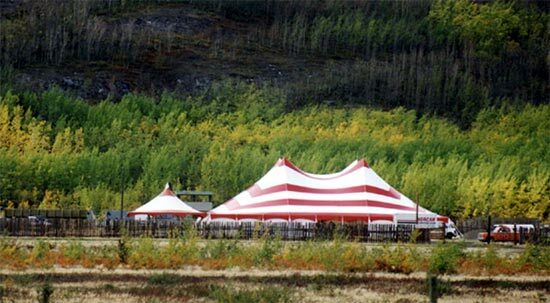 We have a large inventory of tents and shelters (ranging from 400 sq.ft. to 85,000 sq.ft.) that can accommodate from 10 to 10,000-plus people. All of our tents are fire rated and engineer certified. Our mobile, fully-serviced washroom units boast hot/cold running water, flush toilets, wash basins, and showers. Our attention to detail, combined with our complete line of services, ensures that your next event is succesful.